Good Carma is an auto body shop in NE Minneapolis that specializes in Volkswagen, Audi and Subaru car repair. After living with a site they didn’t love for some years, they contacted Virtual Monk and allowed us to give it a makeover. 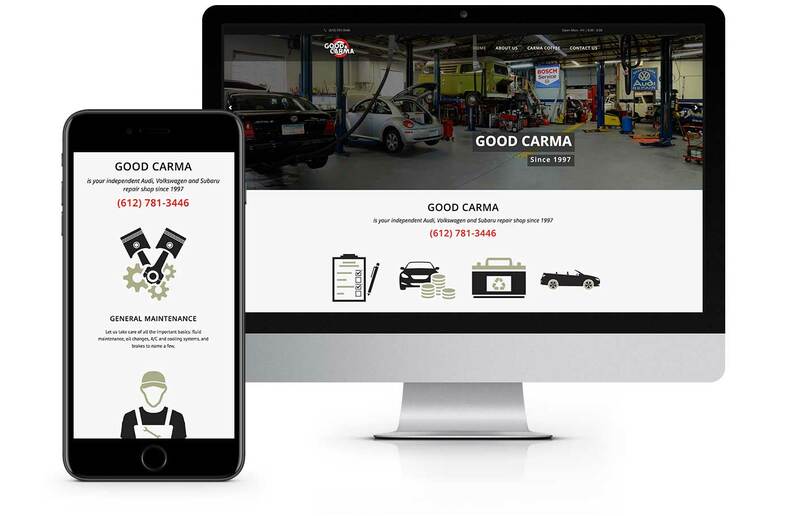 Using their professional photography as parallax imagery and adding custom icons and subtle animation throughout the site, Virtual Monk gave goodcarmaautorepair.com a welcoming, professional appeal that speaks to Good Carma’s customer base.